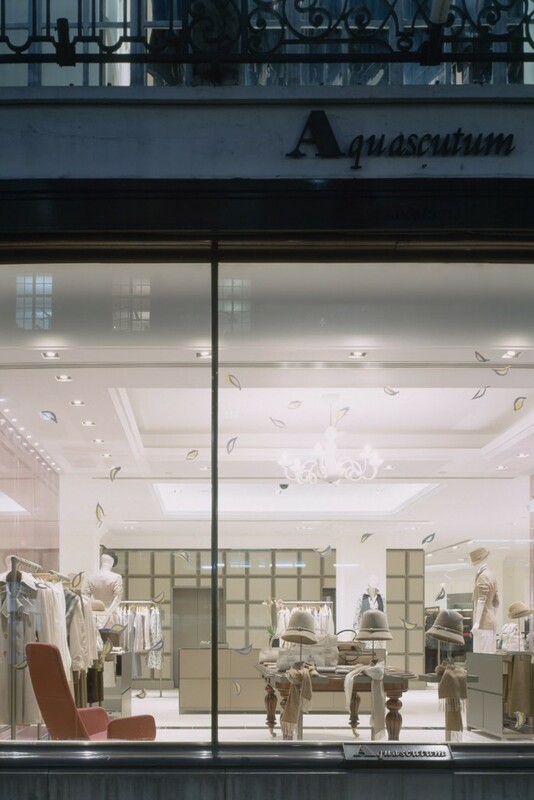 The flagship Aquascutum store was to be designed as a modern representation of the brand. 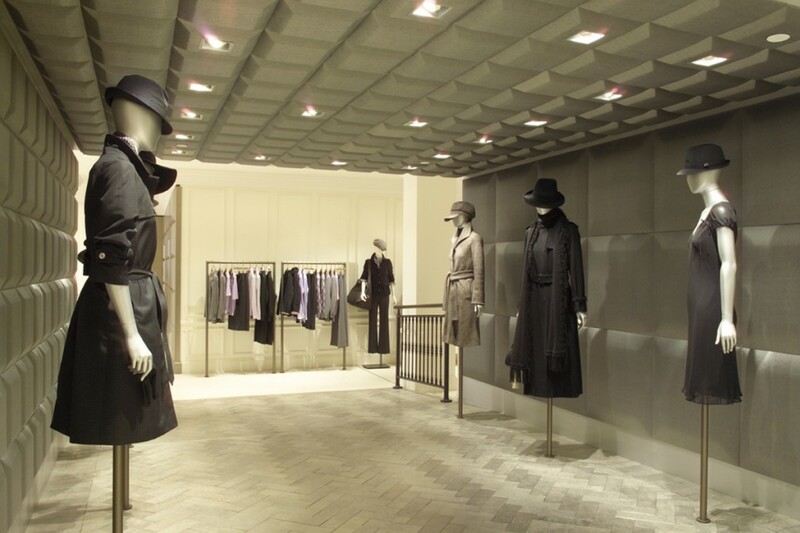 The store splits into different areas with slightly different aesthetics. 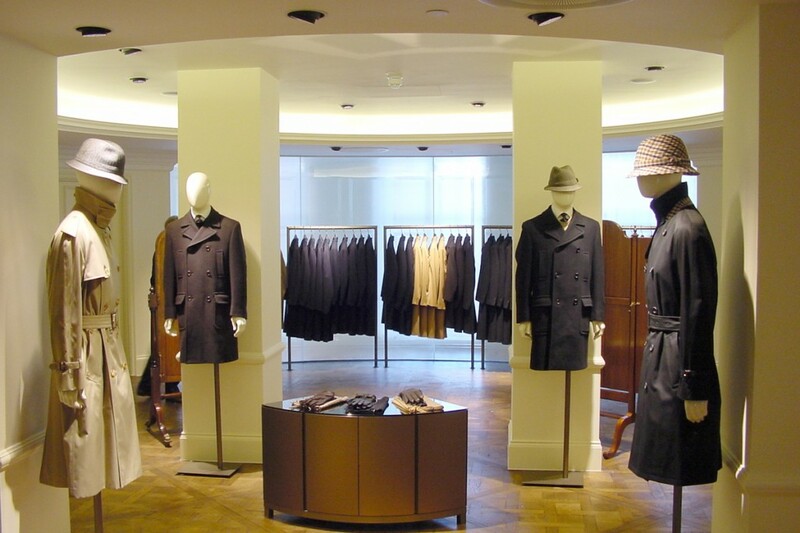 Lighting throughout was to add to a sleek and modern environment and focus in on merchandise. 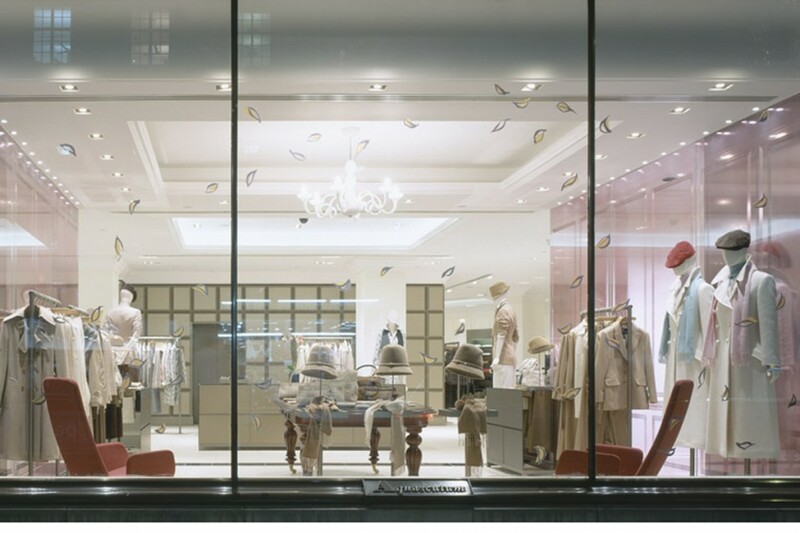 The lighting design is based around metal-halide sources with added honeycomb filters, baffles and darklight reflectors. 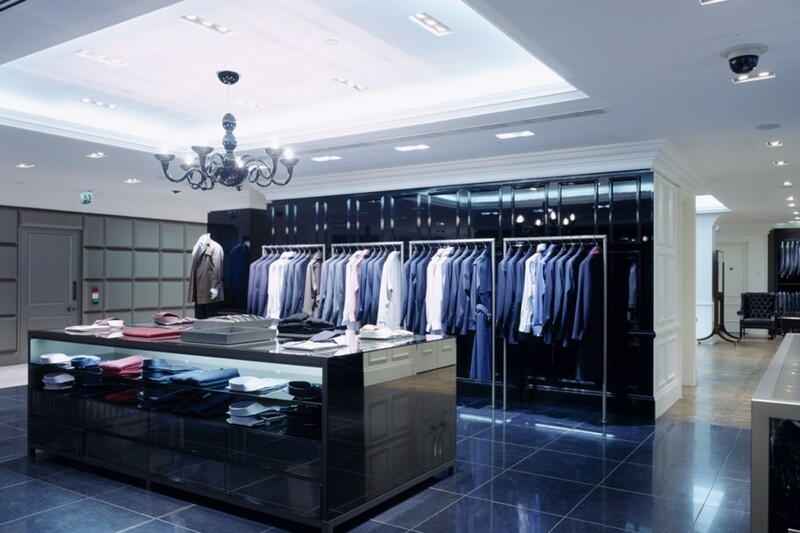 This ensures a high-quality light output and colour rendering onto products – desired lighting characteristics for a high-end London flagship fashion store. 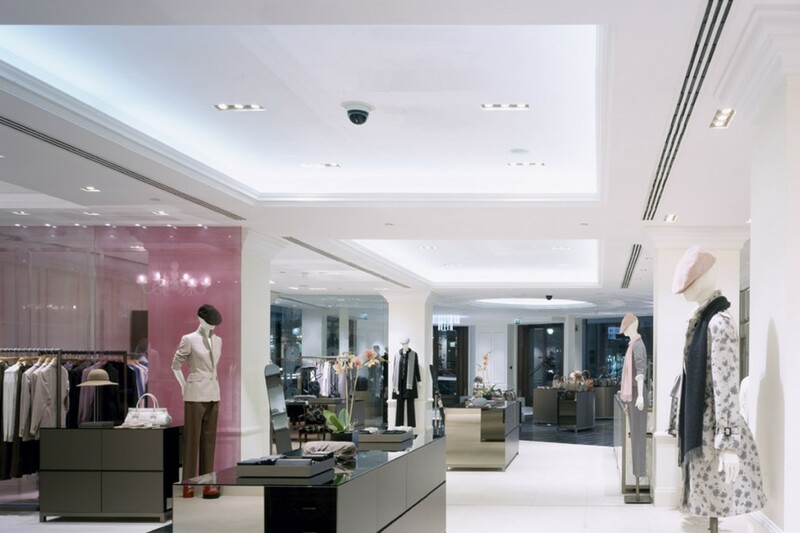 Recessed downlights together with track spotlights provide a fully flexible lighting scheme. Into designed three bespoke lighting features: a colour-changing feature ceiling, faux marble gimbal housings and a lightbox feature in the basement. 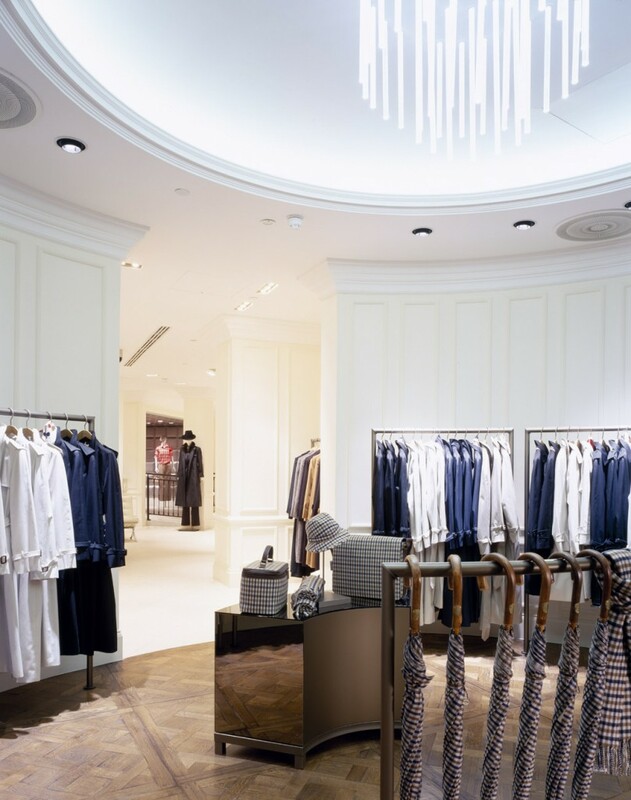 The Regent Street store lighting design successfully intimates a selection of luxury spaces for the high-end fashion consumer, and products are lit accurately with light sources that suit the environment.